Italics used advisedly, because all the sharp sticks in the galaxy won’t be enough. 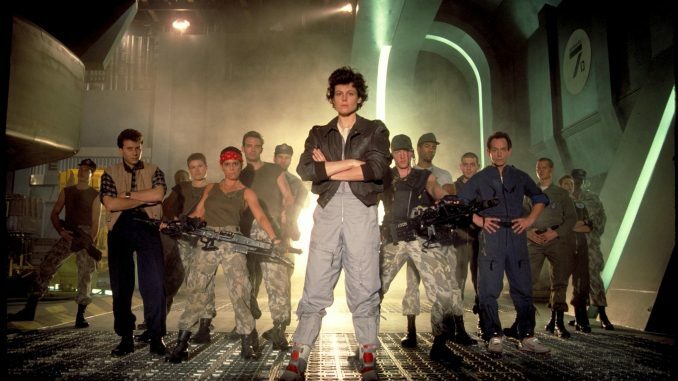 For, while Alien was a haunted-house movie in space, so Aliens is a war movie in space: the saga of a struggle against an enemy which may not have the technology, yet more than makes up for any deficiency in their sheer ferocity. Yet, it’s still also sci-fi, horror and action: I’m not sure any other film has managed to span so many different genres, while doing each of them justice. And even in the extended special edition, there isn’t a wasted moment, something which cannot be said for most movies over two and a half hours in length. From the moment Ripley and the Marines step onto the surface of LV-426, it feels as if anyone can die at any time. I can’t praise the performances here highly enough. Not just Weaver, though she’s clearly the glue which holds the entire film together. The quality runs all the way down to Henn as Newt, in what may be the best ‘one and done’ acting career of all-time. You can’t watch her tell Ripley, “Don’t go! I have scary dreams…” without feeling all protectively maternal. In between, we have the Marines, including the glorious sight of nice Jewish girl Jeanette Goldstein nailing the character of Latina badass Vaaquez. It’s proof that casting the right person for a role is far more important than casting the right ethnicity for a role. 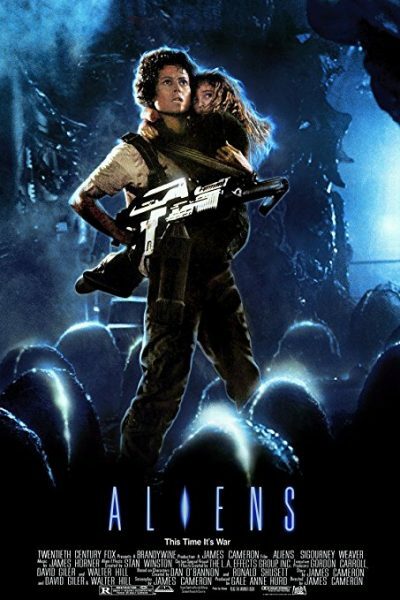 [2009 review] Arguably the finest action-movie ever, from the moment the platoon of marines lands on LV-426, accompanied, somewhat unwillingly, by Ripley (Weaver). She returns to the planet which led to the horrors in Alien, only to find things are about a thousand times worse – since, rather than one alien monstrosity, there are now about a thousand. A series of events leads to them being trapped on the planet, with a fusion reactor about to level the entire area, and an apparently endless stream of creatures closing in on the dwindling band of survivors. Yet just when safety is within reach, Ripley voluntarily ventures back into the heart of the monsters’ lair, seeking Newt (Henn – who had never acted before, and has never done so since), a surrogate for the daughter lost during Ripley’s 57 years in hypersleep between the two movies. When you read some of the stories of production, it’s a miracle the finished product came out the way it did. Biehn, for example, wasn’t cast until a week into shooting, there were innumerable clashes between Cameron and the crew, and six weeks before the theatrical release the musical score hadn’t been written. Yet the movie is a near-perfect blend of science-fiction, action and horror, populated by a host of brilliant characters. Leading these is, of course, Ripley, who has become the standard all future action-heroines seek to emulate (though I note it’s almost two hours into this movie before she touches a gun). Hardly less memorable are the soldiers, who are given personalities that come over in about two brilliantly-written lines of dialogue, such as Bill Paxton’s Private Hudson, who arcs from the self-proclaimed “ultimate badass” to, basically, whimpering in a corner, saying it’s “Game over, man! Game over!” This is key to the impact; you feel a sense of loss when even relatively-minor characters bite the big one, and this happens frequently. The pace is kept relentless by Cameron, and in some ways, this feels more like a ‘Nam flick, with the technologically-superior forces getting their asses kicked by a “primitive” enemy, which makes up for any deficiencies in numbers and hard-core intensity. Yet, the relationship between Ripley and Newt gives the film a strong emotional heart, rarely seen in the genre [I’m thinking Leon is the most obvious descendant there, and we’ll get to that one in a few weeks]. Stan Winston does a fine job of taking HR Giger’s creation and running with it, notably with the Alien Queen, the egg-laying stuff of nightmares. 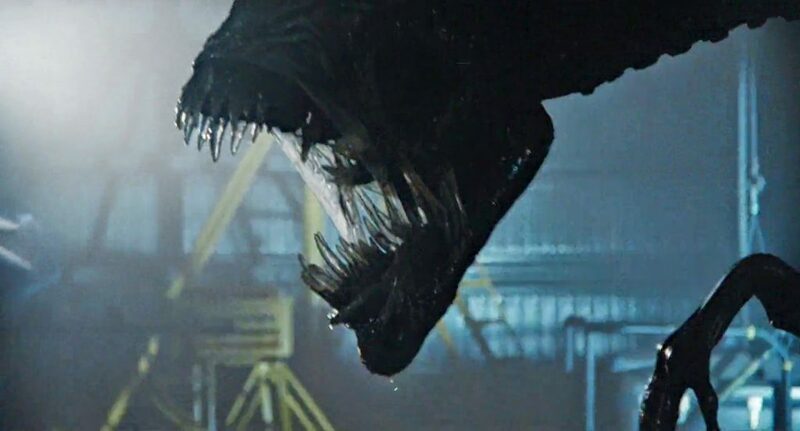 Approaching a quarter of a century later, CGI hasn’t come close to matching the emotions this generates – and neither did any other director who has tried their hand at the Alien mythology.